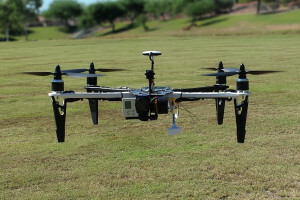 GeoBlu Services is an Unmanned Aerial Vehicle (UAV) development and services company based in Phoenix, AZ. Our products and services enable the capturing of imagery data for real-time on site and off-site viewing. GeoBlu Services is a fusion of technologies centered on UAVs and data collection that is both smart and useful. 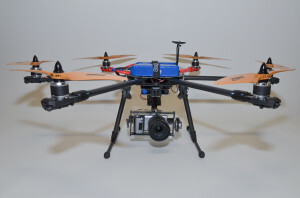 We provide cost effective UAV solutions used in image analysis and remote sensing. GeoBlu Services UAV platforms have the option of real-time viewing using either a ground station monitor or video display goggles, giving the user a first-person view as though they were holding the camera. GeoBlu Services UAV platforms also feature an autopilot assist mode which provides simple, up, down, left, right controls over the UAV while stabilizing the aircraft automatically. If battery power is lost during flight, the autopilot assist feature will still control the UAV’s descent and enable it to land safely. There is a “return home” function that the user can activate at any time during a flight that will direct our UAV platform back to the operator. GPS and altimeters along with small, on-board video cameras with micro-video transmitters enable pilots on the ground wearing digital video goggles to “fly” as though they were sitting in the pilot’s seat. Our UAV platforms allow the uploading of GPS or Google Earth data to compute flight path coordinates and automatic flight routes. It also enables the operator to enter specific routes, speeds, altitudes and hover times over each point. A gyro stabilizer controls the camera to keep it oriented in a constant direction and is excellent for aerial photography. The built-in accelerometer and gyroscope that control flight can also be used to simultaneously control motorized camera mounts to keep the cameras level and correct for undesired tip and tilt. 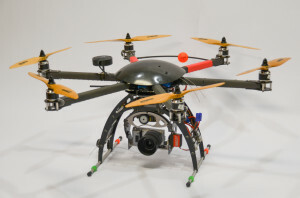 Digital cameras are connected to an onboard video transmitter to send video signals directly to a small receiver connected to a ground station monitor or video display goggles.